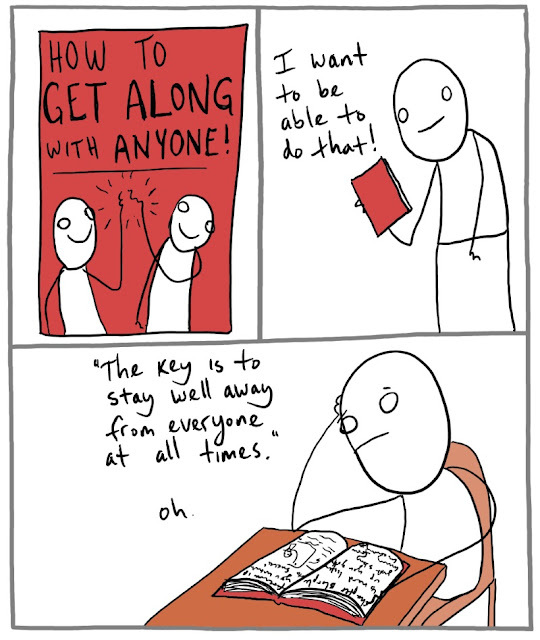 Crustacean Singles: Get along with ANYONE! Through rigorous self-discipline and self-denial, Anthony slowly went about removing evil from his heart. He was patient in unpleasant circumstances and eventually stripped himself of the desire to harm others, then the desire for his own convenience if it would allow others to come to harm, then finally any desire for anything but the peace and joy of all living beings. His attention was so singularly fixed on this process that he hardly noticed as one by one, everyone in his life realized that his enlightened presence was simply too much to bear, and left him completely alone.